Destroy the aliens, stop the invasion and save the Earth. Download this free Space Invaders game, now with blistering gameplay and realistic 3D graphics. Destroy the aliens, stop the invasion and save the Earth. Download the full-version Space Invaders game for free now! 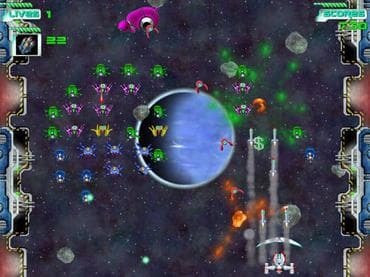 Free Game Features: - Absolutely original enemy units; - Thrilling space-age soundtracks; - More than 50 breathtaking levels; - Unique and truly addictive gameplay; - Unique power-ups; - Save / Load game option; - Game statistics; - Free full version game without any limitations. If you have questions about Space Invaders game, please contact us using this form.